Scott Heavey / Getty ImagesAnthony Joshua. 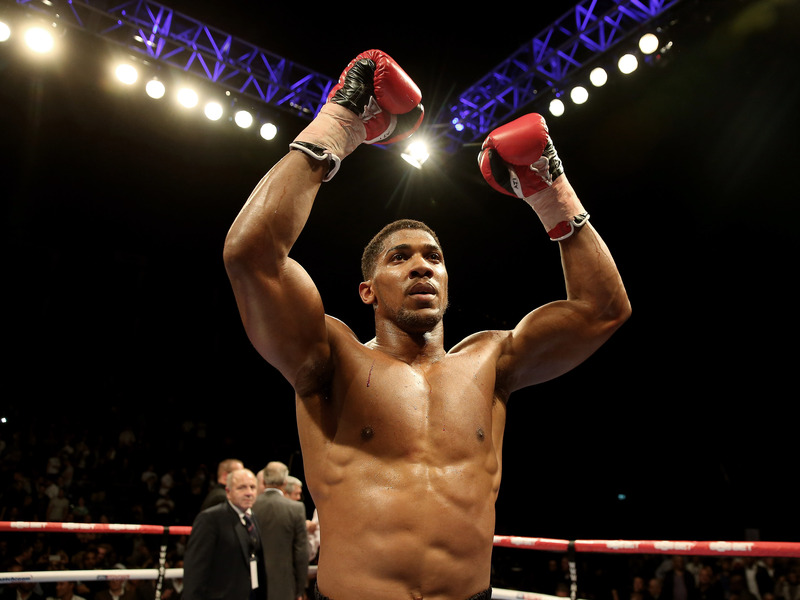 British boxer Anthony Joshua has said wants to be more like Floyd Mayweather than Mike Tyson. When Mayweather was in his prime, he was the most effective fighter on the planet, according to statistical data. The same data shows Joshua has a long way to go if he wants to be considered as smart as Mayweather. World heavyweight boxing champion Anthony Joshua has a long way to go if he wants to follow in the footsteps of Floyd Mayweather. Joshua, who stands at 6-foot-6 and weighs 18 stone (252 pounds), has drawn more comparisons to former heavyweight wrecking machine Mike Tyson, than he has Mayweather. This is because Joshua, like Tyson, has a bodybuilder’s physique, a knockout winning streak, and a growing popularity. Joshua is correct. Mayweather concluded an illustrious fighting career with a 50th win in 2017, defeating UFC fighter Conor McGregor in the 10th round of their landmark boxing rules bout last August. That McGregor win was his 50th as a professional boxer and though Mayweather retired undefeated, what was most impressive about his career was that he was, statistically speaking, the most effective fighter alive. When Mayweather was at the peak of his powers, circa 2012, he enjoyed a “plus/minus” punch ratio of +30%, according to CompuBox. This is the number produced when you take the number of times Mayweather walloped his rivals and subtract the times they successfully connected with him. A +30% ratio is the highest CompuBox has ever recorded. At 28, Joshua is arguably also in his prime. Last year, he notched up his most impressive win to date when he knocked Wladimir Klitschko out in a Wembley Stadium war. His punch ratio for his past five fights stands at +13%, according to CompuBox data cited by Stuff. In the Klitschko fight alone, his punch ratio was -7. He only managed to land 30% of his punches and got caught by 37% of Klitschko’s. Now Joshua and Mayweather are very different fighters, operating in different weight categories, and there are not many who can match the retired American. But the stats show that if Joshua wants to be as smart as the man he aspires to be, then he still has a lot to learn. He will continue his education on Saturday, when Joshua is next in action against Joseph Parker.